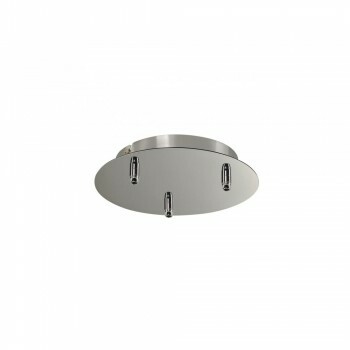 Intalite 132615 Chrome Fitu Triple Ceiling Canopy at Love4Lighting. The round Fitu ceiling rosette is available in various colours with either one, three, or five outlets. It can be combined with any Fitu E27 pendant luminaire. Delivered with strain relief.